Something I’ve been waiting for: the Spier & Mackay long sleeve polo. This summer saw an update to the short sleeved version, offering both a cutaway and button down collar. When I saw the cutaway shirt collar, I was excited for fall. It’s weird, I know, but I don’t really enjoy polos with short sleeves. To my eye, the sleeves always hit right around mid-bicep, and that looks too short for me. I have checked out their polos in the past, and found them to be a really nice quality fabric – dense, but not heavy. Soft with a bit of stretch. I’ve often envied the rakish cutaway collars from brands like Berg & Berg and Eidos. Especially in a one-piece collar configuration. The swept back collar points and a nice roll, neatly tucked under a sport coat’s lapels is a look I wanted to wear. I never pulled the trigger on any of those brands though, as I have no local source to try them on. At those prices I wanted to be sure, or at least not have the hassle of international returns. I also would like to have the option of a collared shirt to wear with chinos and jeans that isn’t an OCBD or dress shirt. I figure these will be great for just that. For me, the Spier & Mackay long sleeve polo hits two key points – local and price point. The quality of construction is pretty great considering the price point. I did notice each shirt had a length of loose thread on the right shoulder, just behind the collar. Not the stitching, but 1-2″ of thread that I trimmed off. Otherwise, the finishing is neat and tidy. All the button holes are nicely sized for a tight, but not difficult fit. 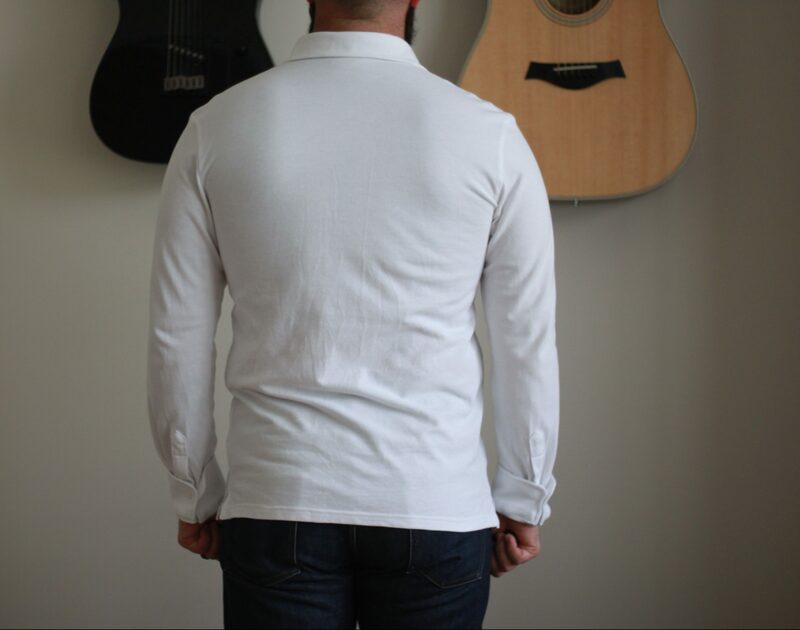 I’m quite happy with the cuffs on the Spier & Mackay long sleeve polo – the construction is not too thick. Likewise with the collar. I would like to see a different lining in the collar as I found it sat with a nice roll for the first part of the day, but by the end of the day had folded in a bit on itself. 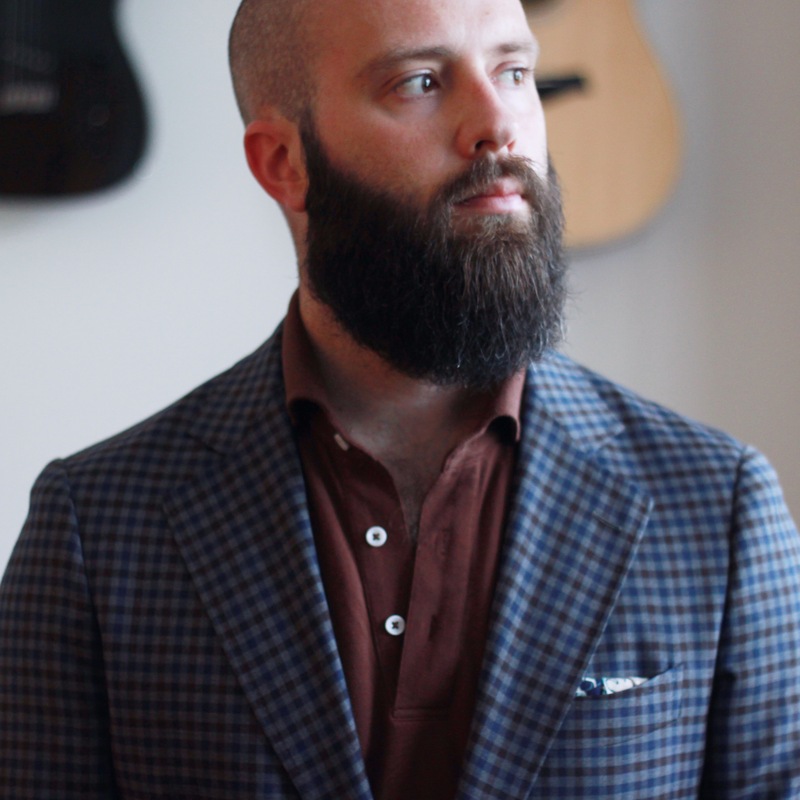 Wearing under a sport coat, the lapels help keep it up. Something to consider for the next round maybe. I decided on size large. 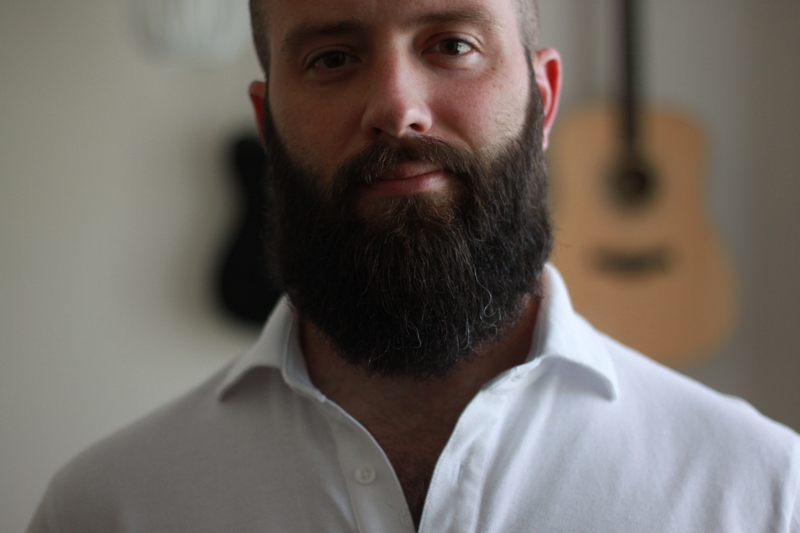 I wanted a trim fit, but not tight. I’m also hopeful that I’ll be able to machine wash and dry. For the first wear, I washed in cold water and hung dry to minimize shrinkage. Since I plan on wearing these both tucked and untucked, I’m happy to see that the length will work for both. If I decide to toss them in the dryer, I could lose an inch or so of length and still be able to tuck them in. The sleeves are too long on me by at least an inch, and I find them a bit tight through the bicep. I think I may throw them in the dryer after the next wash. It’s always a bit of a gamble without knowing how much they will tighten up! Here’s an untucked look that shows the fit and the collar on its own – this time with my white one. I tried turning up the sleeve cuffs and buttoning them that way. pretty perfect length and it doesn’t look totally ridiculous until I decide what to do about it. Across the upper back and where the collar sits, I feel like I could almost go up a size. That would leave me with comically long sleeves that would definitely require alterations. I think I’ll stick with these large. For pairing this navy long sleeve polo, I went with my tan herringbone sport coat and mid-grey trousers. I have wanted to have a navy shirt to pair with lighter sport coats for while. I never went with a navy dress shirt though, as I felt it would have really limited use and the cost of a custom shirt could be better spent. With this navy polo, I can use it under a sport coat, but also on its own with a pair of jeans or chinos. 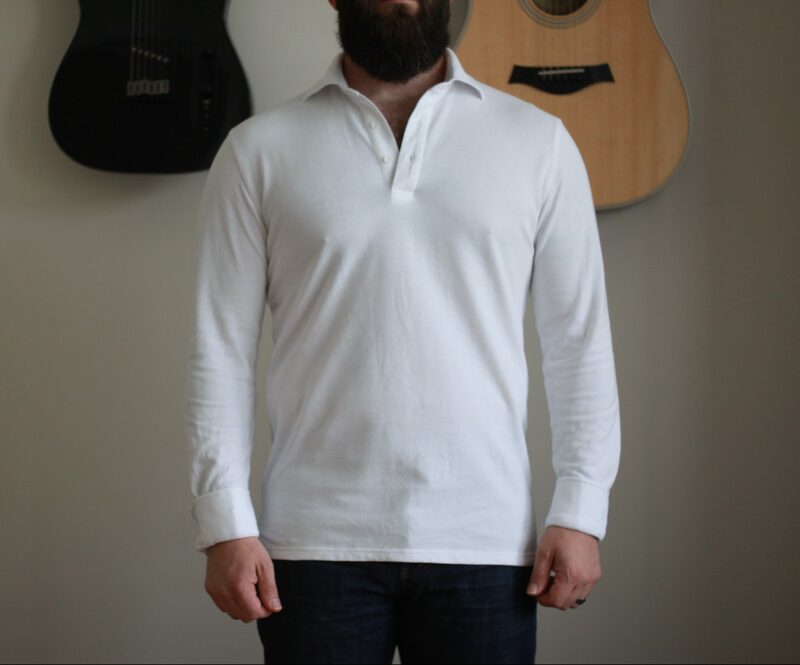 My first wear, I buttoned the bottom collar button, but I will likely leave them all open in the future. Here’s a nice example. 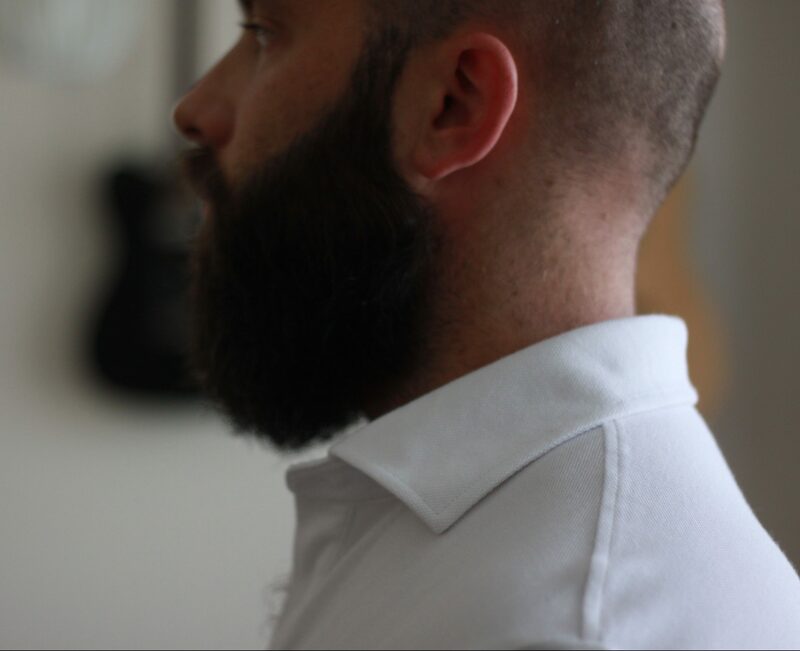 Leaving all the collar buttons undone helps create a smooth curve up through the collar, and gives the swept-back look I was hoping to achieve. 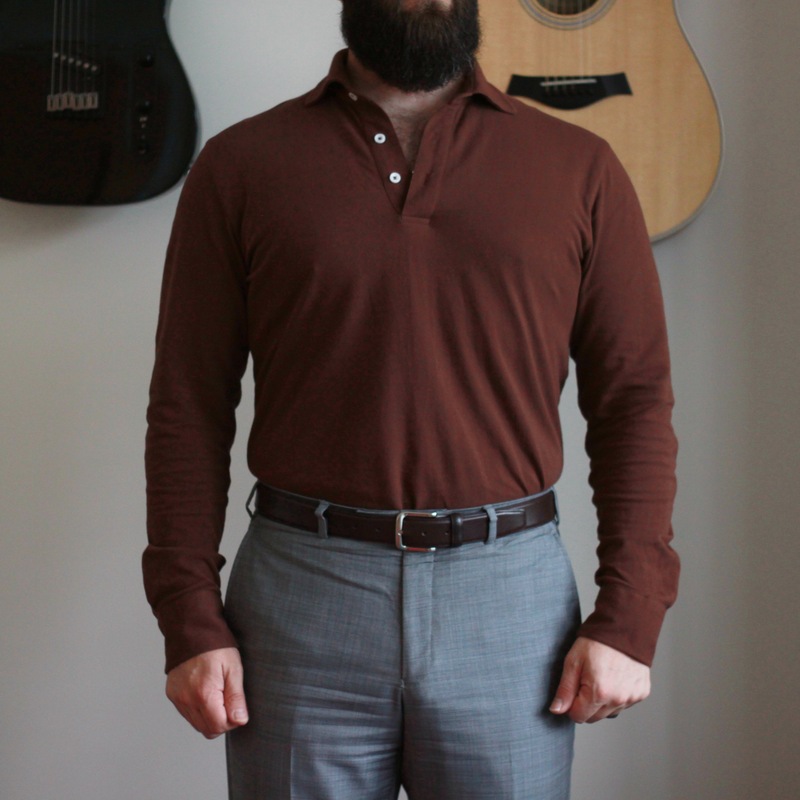 I’m really impressed with the colours available on these Spier & Mackay long sleeve polo shirts, and I’m especially enamoured with this brown one. 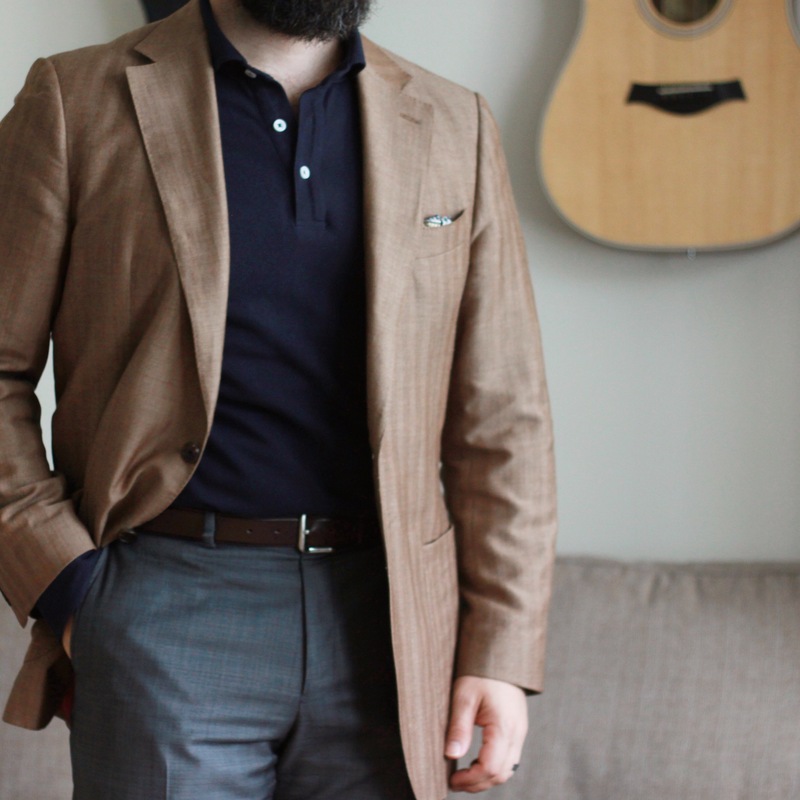 The warm rusty tone paired really well with this sport coat, and I think it will look killer with denim. One thing that might be nice is a slightly extended placket… Maybe long enough for one more button. I’ve seen some out there on polos and pop-overs that basically go down to your navel. At that point, why not just wear a dress shirt? I’d be ok if it stopped at the mid-torso. It’s not a make or break detail by any means, as I quite like these as they are. These things are legit. Everything you’d expect from Spier & Mackay – quality, style and value. I might need to pick up a few more colours… the green intrigues me, and both a light and dark grey would be versatile. So, basically all of them. If you’re in the market, you’d be wise to check out the Spier & Mackay long sleeve polo. It’s a great one. This company never ceases to amaze me with what they come up with.